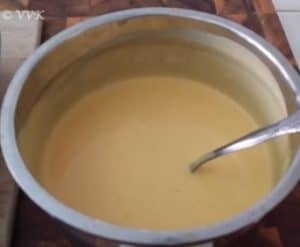 Pavani posted Aam Doi as her first recipe during the Journey through cuisines marathon. I bookmarked it right away and tried it for this Father’s Day. 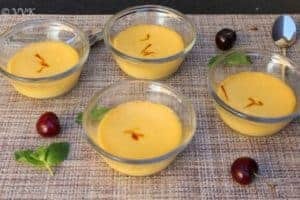 We had an awesome Italian lunch outside and for dinner I cooked M’s favorite thali (Sambhar, Rasam, Dry Curry and Appalam) and for dessert we had this Aam Doi. We really enjoyed this dessert which is soft and solid on top and semi-solid in the bottom. This was pretty much like shrikand. Apparently according to the astronomical calendar, yesterday was the first day of summer. So let’s celebrate the beginning of summer with this cool dessert. I pretty much followed Pavani’s recipe except for a couple of things. I included Elaichi powder and also used sugar and condensed milk combo. 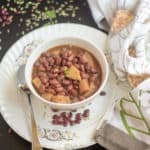 I decorated with pomegranate instead of chopped nuts. As I had some left over canned Alphonso mango puree, I used that. It was super sweet so I reduced the sugar quantity accordingly. Adjust the sweetness according to the mango. As I mentioned in the intro, it is a single serving dessert and you can need ramekins for prepare this dessert. 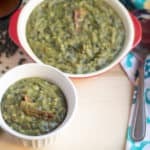 This is a perfect party and potluck dessert too as it can be prepared well ahead and easy to serve. All you have to do is mix all the ingredients together and bake it until set and let it chill and serve. Super easy huh? I had to bake for upto 40 minutes for it to set. But keep an eye on the dessert after 30 minutes. Insert the tooth pick and if it comes out clean, remove it from the oven if not bake for 5 more minutes and check again. Check it for every five minutes after 30 minutes until set. 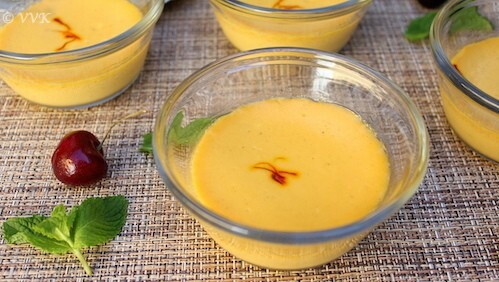 Here is the super sweet, yummy and gorgeous Aam Doi. Yogurt – 1/2 cup (I used greek yogurt) Basically we need thick hung yogurt. 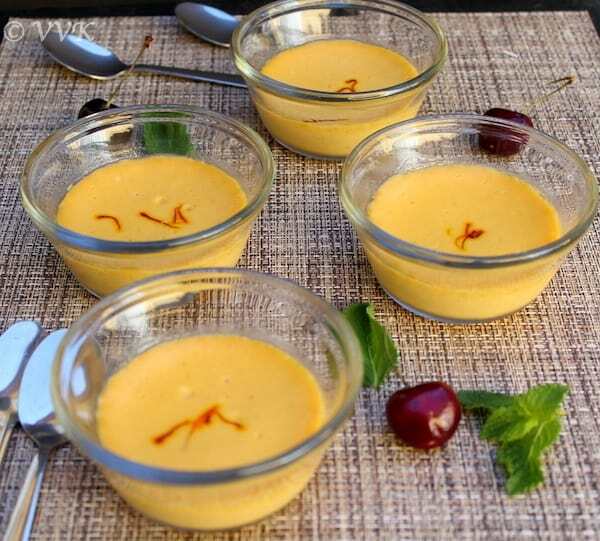 Saffron – few strands for each ramekins. Pomegranate or any fruits or nuts for decoration. If using fresh mango, then puree the mango and talk about 1/2 cup of it. Also if you are using regular yogurt, strain it and remove the excess water. Also fill the baking tray with 1 inch of water and place the ramekins inside the tray. 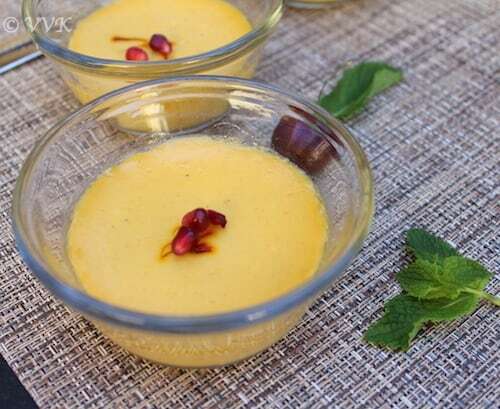 Mix the puree, yogurt, evaporated milk, sugar, condensed milk and cardamom powder. Pour this mixture equally in the ramekins and add couple of saffron strands on top. Now bake this for about 35 to 40 minutes or until set. Basically when you insert a tooth pick in the center it should come out clean. Now let it cool and refrigerate for about 3 to 4 hours. That’s it. 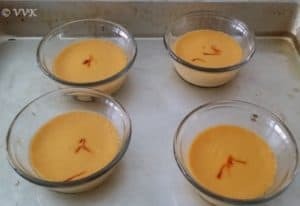 Aam Doi is ready. Decorate it with your favorite fruits and nuts and serve chilled. Adjust the sugar and condensed milk according to your preference. Sugar can be skipped and condensed milk alone can be used instead. Regular milk can be used instead of evaporated milk. Bake for unto 30 minutes and then check with the tooth pick. Insert the tooth pick and if it comes out clean, remove it from the oven if not bake for 5 more minutes and check again. It took me about 40 minutes. 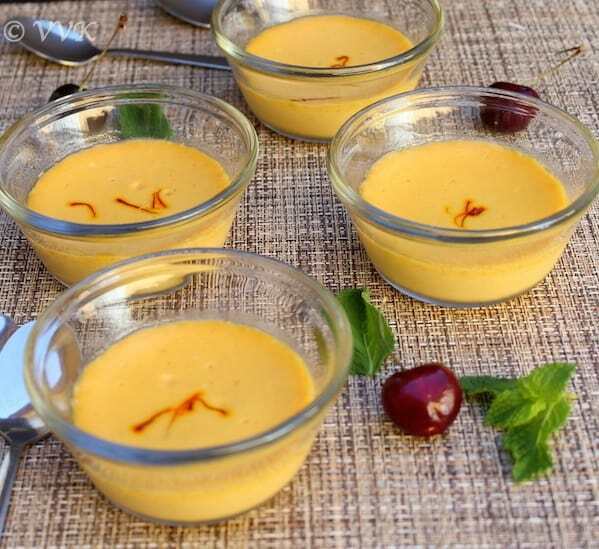 Aam Doi - the baked mango yogurt dessert which is a variation to the mishti doi is a popular Bengali Dessert. This is a single serving dessert served chill. Yogurt - 1/2 cup I used greek yogurt Basically we need thick hung yogurt. Saffron - few strands for each ramekins. Pomegranate seeds or any fruits or nuts for decoration. 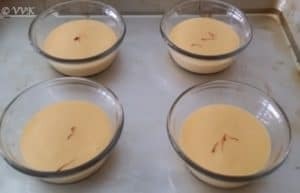 I used to mak mishti doi with my college friends. Thanks for taking me back to fond memories! Thank you for the mention Vidhya. 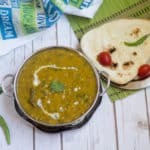 This was one of the simplest and most delicious mango recipe I’ve ever tried. Glad you liked it too. 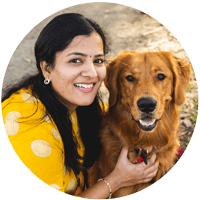 Thanks for for the recipe Pavani. 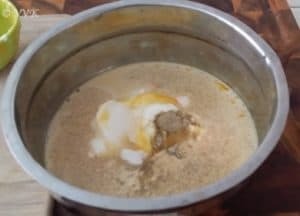 I know its the simplest recipe naa.. We all loved it. I love mangoes! This pudding looks so tempting!! I really need to make it!! Yum!! Please do prepare them. You will love it. Thanks Nish. Love mangoes and this dessert sounds delicious!!! 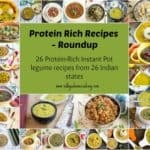 Love your website, a lot to learn for a new food blogger like me from yumm blogs like yours!!! Thanks a lot Vanitha and welcome here. You comment made my day. Cooking is an art and we all learn from each other. :-) Thanks again and hopping on to yours now. Hi vidya, celebrating mango season.? ?…looking vibrant and yumm…. yup.. more mango recipes to come :-) Thanks Ranjani. 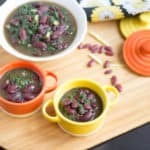 What a mouthwatering recipe- perfect for the summer! 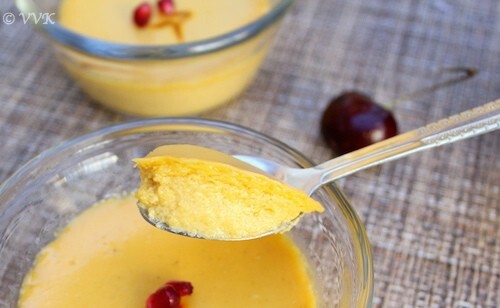 I love mangoes and your Aam doi looks so yummy! This dessert looks so beautiful and delicious !